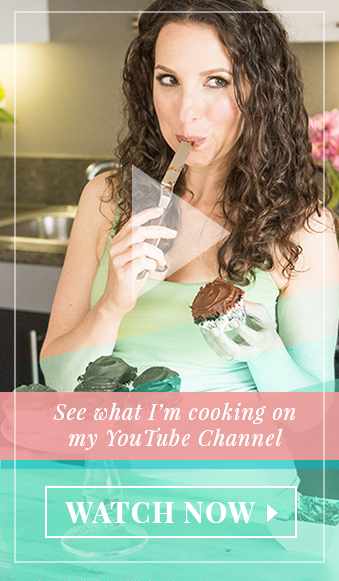 One of my most popular recipes is… my almond butter brownies! Although after biting into THIS incredible, chocolatey, decadent and gooey brownie, I might have to rename those ones BLONDIES. It was just Halloween here, and we’ve been eating pumpkin pancakes every weekend (recipe here!) so I had some left over pumpkin puree. I often add it to the baby’s hummus (which she devours) but I was in the mood for dessert (ok… let’s be honest, I’m ALWAYS in the mood for dessert!) 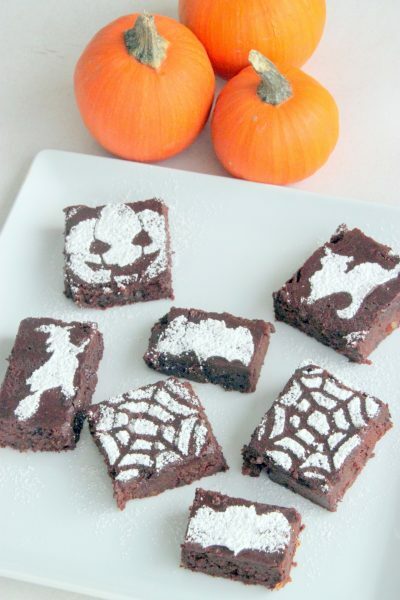 so… here’s my latest dessert recipe: PUMPKIN BROWNIES! 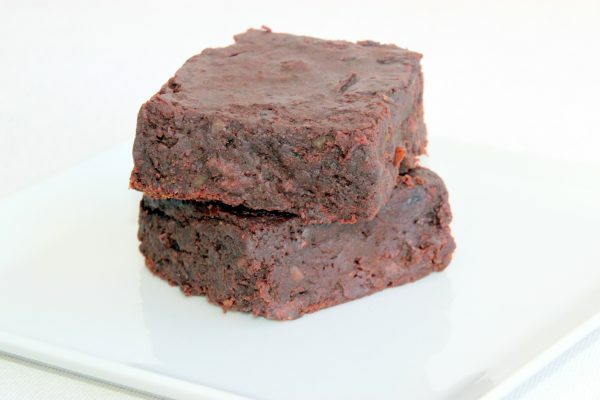 They are easy, fast and SO much healthier for you than anything you can buy in a bakery or make from a box (Speaking from experience – I was just at Whole Foods yesterday reading all the brownie boxes. 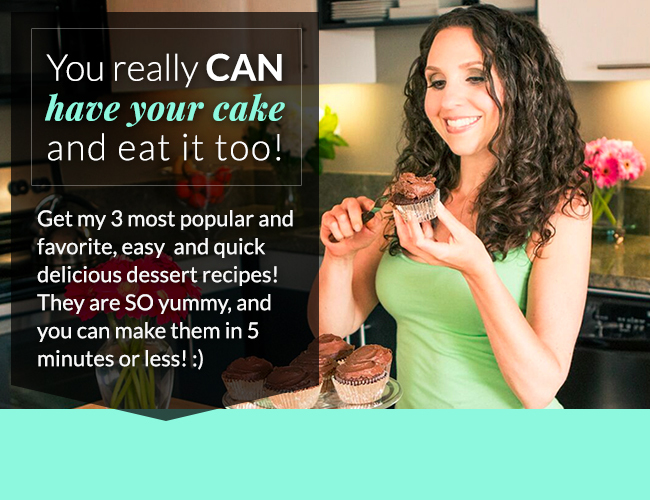 Compared to even the ones that are gluten free or vegan, THIS one has WAY more benefits! Coconut sugar has trace elements (like iron, zinc and calcium,) and inulin, a dietary fiber, which may help diabetes by slowing glucose absorption and is great for gut health. So what I’m saying is, THESE brownies are practically a health food! (Kidding! It’s still a treat, but there isn’t much ‘trick to this one… just an easy, yummy treat that has nutritional benefits too!). 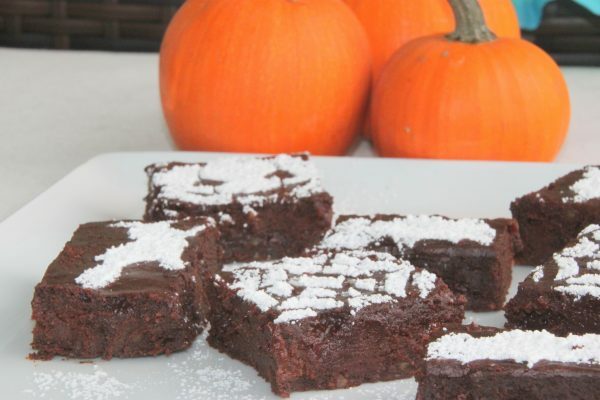 So go ahead, enjoy the decadence of this gooey pumpkin brownies without any of the guilt! I’d love to hear what you think! Please let me know in the comment section below! Add the chocolate chips in before baking? Hi Jodi, thanks for the question! Yes, I stir them in before pouring the batter into the pan. I updated the instructions to better reflect that. Thanks! Yes I did that. They were great and so moist! Great! I’m so glad to hear that! Thank you!